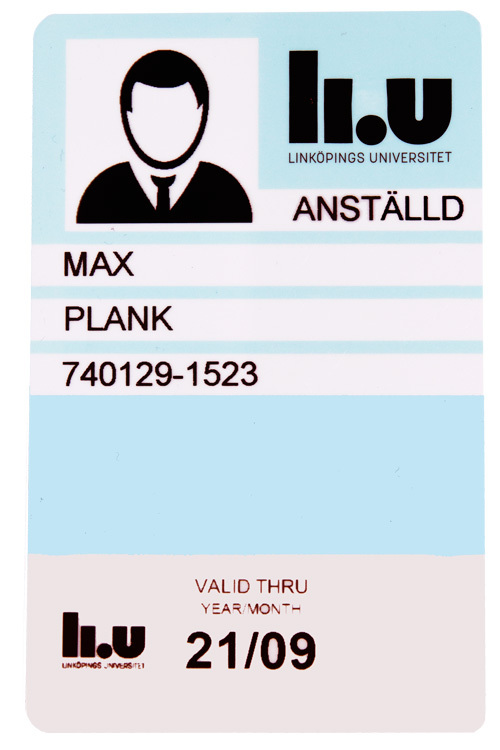 All employees at Linköping University get a LiU-card. PhD students also get a student card (they are counted as both employees and students). Persons not employed by LiU but still associated with it and need access to the university facilities can be given visitor cards by the associated department. Access card - works as an access card at the LiU's campuses. Library card - works as a library card at the LiU's library. Local ID-card - usable as ID at LiU (only). Bus card - employees may utilize the Campus bus for work-related travels between the university's campuses. Sports card - The Campushallen sports club can use the LiU-card as their membership card.